Do you have a little construction worker or carpenter at home? 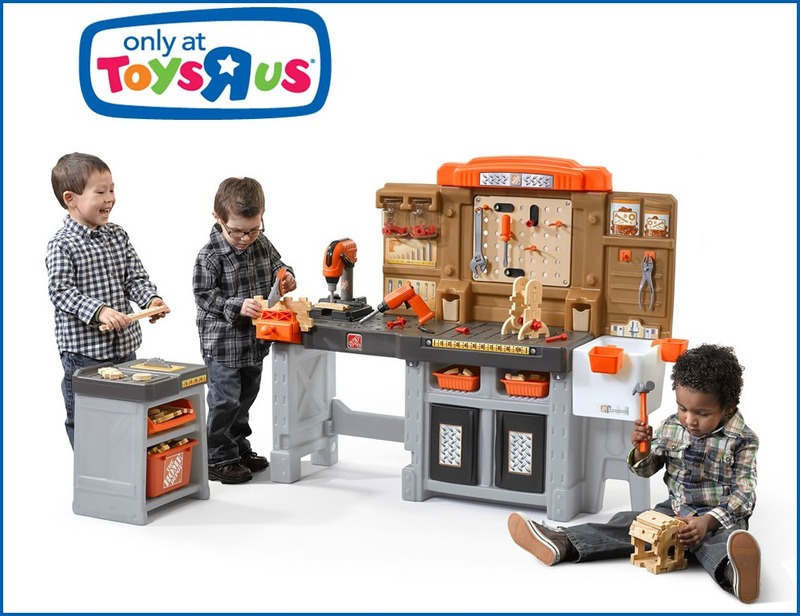 The Step2 Home Depot Pro Play Workshop & Utility Bench is the ultimate dream toy for any child who loves to play with toy tools and work with hands! This toy comes with realistic wood structures to build bird houses and more, as well as a toy power drill, toy tools, plastic screws, storage bins and more! Little one’s love to pretend to be just like big people! This is the perfect set for them to feel that way. No matter who they are watching fix things, this will help them be able to pretend they are doing it too! Awesome Holiday Gift! 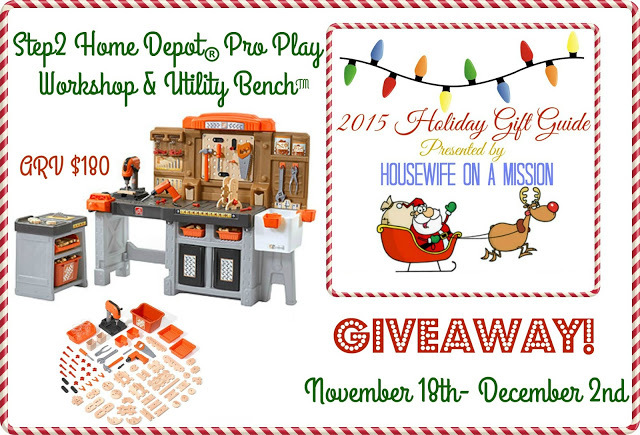 Housewife on a Mission recently received this workshop to give us her opinion on the toy set, be sure to read her Step2 Home Depot Pro Play Workshop & Utility Bench review here. Stay connected with Step2 on Facebook, Twitter and Instagram! One of our readers are going to win a Step2 Home Depot Pro Play Workshop & Utility Bench, a $180 value! So cute! My 2 year old son would love it! I would love to win this play workshop and utility bench for my nephew. He loves to copy everything his Daddy does and would have a lot of fun with the play tools. Love this could really use a great product like this. I’d love to win this for my daughter and my nephew to play on! They would love it because their grandfather is in construction so they could be just like him! 🙂 Thanks for the chance! Our friend’s 3 kids would love this!